I am after the Pole because it is the Pole; because it has a value as a test of intelli­gence, persistence, endurance, determined will, and, perhaps, courage, qualities char­acteristic of the highest type of manhood; because I am confident that it can be reached; and because I regard it as a great prize which it is peculiarly fit and appropriate that an American should win. This objective of my work will not prevent the attempt to accom­plish valuable results in other directions, and a direct corollary of the attainment of the Pole will be an extensive filling in of the large existing blank upon our charts in the vicinity of the Pole, and perhaps the completion of the preliminary geographical work in the highest latitude in this hemisphere. Before commencing my outline of proposed work, just a few words in regard to the North Pole, a subject upon which fools as well as sages have theorized for centuries, an ob­ject for which brave men have struggled for centuries. What is it? It is simply the mathematical point where the earth's axis intersects the earth's surface, a place where there are ninety de­grees of latitude and three hundred and sixty degrees of longitude, or no longi­tude at all, just as one pre­fers to look at it. Let us assume that the Pole has been reached and that a man is standing upon it; what would be some of the conditions resulting from his position? In the first place, our man stand­ing upon the Pole could go in but one direction, south. East, west, north have been obliterated for him, and the first step he takes, no mat­ter what its direction, will be south. If, there on the Pole, he stands motionless for twenty-four hours, the diurnal revolution of the earth will simply turn him completely around on his tracks as on a pivot. If he stands there for a year, he will have in that year one night and one day. The sun will rise for him on the 21st of March; the next day it will circle through the heavens, apparently rolling on the horizon. all the way round; the next day it will be a lit­tle higher; the next a little higher still, and so on, until the 21st of June, when it will be twenty-three and one-half degrees above the horizon, a little more than one-fourth the dis­tance from the horizon to the zenith. A few days later it will be a little lower, the next still a little lower and so on, slowly describing a flattened spiral through the heavens, until it sets on the 21st of September, not to rise again until the 21st of the following March. If now at any time during this six months' long summer day our man standing upon the Pole takes one step directly towards the sun, no matter in what direction it may be, it will then be noon for him. If he then steps back to his position on the Pole and from it takes a step directly away from the sun, it will then be midnight for him. Not darkness, however; midnight in the Arctic regions does not necessarily mean darkness. But to our man standing there upon the Pole two steps only will separate astronomical noon from astronomical midnight. During the six months' long winter night our man standing there will see every star of those he can see at all, always the same height above the horizon. Polaris, the North Star, will be practically in the zenith, and a star which can be seen barely peeping above the horizon will circle forever just grazing the horizon. In other words, to the observer on the Pole the heavenly bodies move in hori­zontal circles, instead of oblique circles, as they do here, or vertical circles, as they do to an observer on the Equator. One other interesting point: our man standing upon the Pole would not be able to say, speaking with precision, that he was having either a good time or a bad time, nor would he have the pleasure of complaining of hard times. Why? Simply because he would have no time. What is time? And what do we figure it from but noon, and what is noon but the moment the sun crosses our local meridian? Now our man standing upon the Pole has no meridian, or rather he has three hundred and sixty of them, so mixed up under his heel that he could not pick one out if he tried. He has no noon, no starting point for time, no time. So much for the conditions which are the result of the mathematical definition of the Pole. Now, in regard to its physical character­istics. There is no reason whatever for as­suming any abnormal conditions at the Pole. No reason whatever for supposing there a perennial summer sea or a paleocrystic (that is, an eternally. frozen) sea, or a Symmes Hole giving access to the center of the earth, or a specially rounded mountain, a la Jules Verne, for the earth to whirl upon. None of these. There will be simply prosaic land or water at the Pole. No man living can say which until some man gets there. But if it is land, it will be land with charac­teristics practically the same as those of other Arctic lands, such as we know a few hundred miles south; and if it is water, it will be an Arctic sea, with the characteristics practically the same as those of other Arctic seas, with which we are familiar a few hundred miles distant. Will the Pole ever be reached? Most as­suredly; and possibly within a comparatively short time. The distance which today sep­arates the highest north from the Pole itself is but two hundred and sixty miles, about the same as the distance between Albany and Buffalo; and I do not believe there is one of my readers who is willing to admit that a dis­tance of only two hundred and sixty miles is to remain forever impassable to human efforts and energy. I am not. 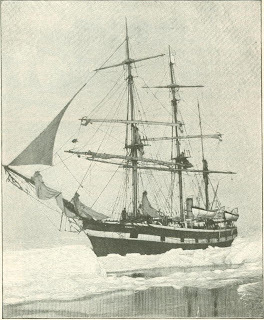 owner of Peary's ship "The Windward"
"My own expeditions have satisfied me that from a sufficient depot of provisions and equipment, located in the latitude of Inde­pendence Bay, the Pole is attainable. 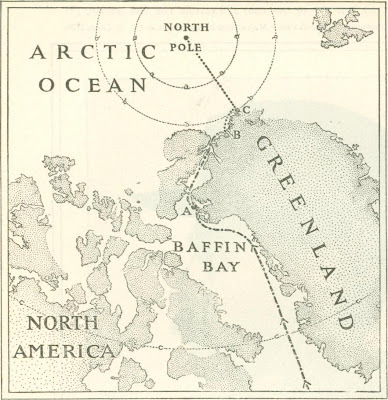 The results of the various recent expeditions have shown that there is left but one practicable route by which to attain the North Pole, and that route the one that has been known as the American, viz., the route through Smith Sound, Kane Basin, Robeson Channel, and along the north­west coast of Greenland. My plan, in the few­est words, is to raise a fund sufficient to insure the continuation of the work of exploration for ten years, if necessary, say $150,000, and deposit it in a trust company; purchase a ship; give her a minimum crew; load with concentrat­ed provisions; proceed to Whale Sound; take on board several picked families of my faithful Eskimos, with their tents, canoes, dogs, etc. ; force a way through Robeson Channel to Sherard Osborn Fjord or farther, and land people and stores; then send the ship back. 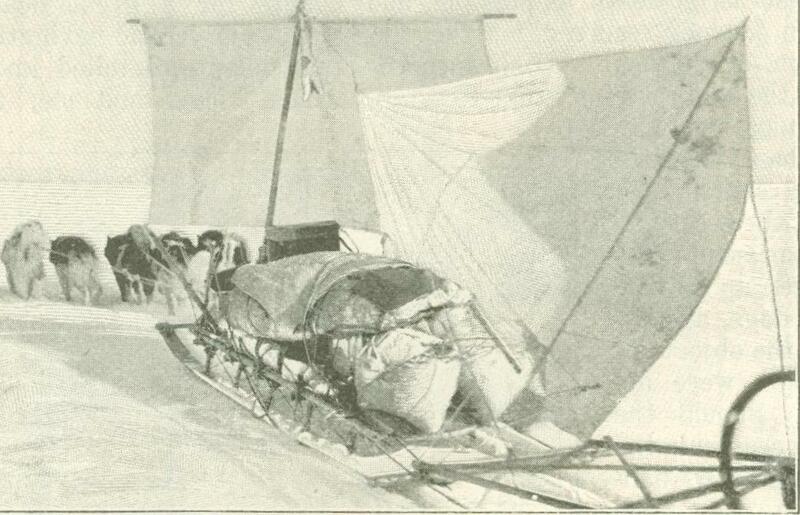 As soon as the freez­ing of the ice in the great fjords of the northwest coast permits sledge travel, the work of advancing supplies northeastward along the coast would be commenced, taking compara­tively short stages and light loads, so that the trips could be quickly made. As soon as the supplies had been advanced the first stage, the party itself would move forward, leaving a cache behind, and as they would be follow­ing Eskimo customs and living in snow houses, this could easily be done. "Then the second stage of advance would be taken up, and the work carried on until the departure of the sun. Each of the bril­liant winter moons of the polar night would afford opportunities for continuing it, so that early spring should find the party and the bulk of its supplies located at the north­ern terminus of the North Greenland archi­pelago, probably not far from the eighty-fifth parallel, with caches behind it at each prom­inent headland. 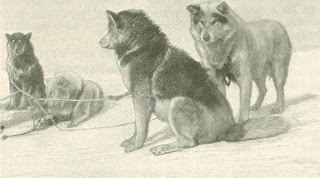 From this point, when the proper time came, with picked dogs, the lightest possible equipment, and two of the best of the Eskimos, the last stage of the journey to the Pole would be at­tempted, with strong probabilities of a suc­cessful termination. Should the first season be unfavorable as regards ice conditions, it could be devoted to a detailed survey of the archipelago itself, and a reconnoissance of the east coast as far south as possible, and the northern journey reserved for the fol­lowing season, or the next. Each succeed­ing summer the ship would attempt to estab­lish communication with the party's base, succeed­ing probably every other year at first, then, with in­creasing experience, every year, and keep up its sup­ply of food, dogs, and Es­kimos, until the objects of the expedition were ac­complished. Should the ship be unsuccessful in the passage of Robeson Chan­nel the first year, the party would land at Hayes Sound, and devote the first year to explorations of that unknown region. Re­treat from the colony at Sherard Osborn Fjord would always be practi­cable across the inland ice to Whale Sound. "The program is to secure every mile of ad­vance just as far as there is land, and then attempt to accomplish the remain­ing distance in one effort. In case the conditions are unfavorable or impracti­cable the first season, I shall return to my Eskimo village, winter there, and start again the next spring; and if the condi­tions are not favorable the second year, come back for the winter, and start again and again. I believe that at any point in the Arctic regions, at one time or another, at one season or another, the door is open or can be opened, and the man who is in readiness and waiting for the favorable opportunity can get where he wants to. When an expedition goes north for one or two years only, it may not find the favorable opportunity; but if it can stay the four or five years which I am prepared to stay, if necessary, sometime in that period the favorable occasion is sure to come, and the door will be open or can be pushed open." Such, in brief, is my project for the pro­posed work, and I must say, though perhaps I am egotistical, that it does seem to me as if the conditions were favorable. Experience counts for a great deal in Arctic work. Success in Arctic navigation is the result of that definite, detailed knowledge of coasts, winds, tides, and ice, the same kind of knowledge for each step of the voyage that a harbor pilot has. One must know what the effect of a given wind is upon the ice at any point along the coast, and the effect of the ebb and flood tide, as, knowing these things you can put your ship through with safety, or keep her out until a favorable time comes. I feel that I have, in the last five or six years, obtained some knowledge of these details of Arctic work. And, in addition to this, is the advantage of my utilization of the Eskimo. Everyone will agree with me, that there are no human beings on the face of the globe better adapted to form the rank and file of an Arctic party than members of that little tribe, the most northerly people in the world, whose fathers and grandfathers and great-grandfathers before them have lived in, that very region: men who know all the vagaries, all the possibilities, and all the hostilities of their frozen home, and know perfectly how to take care of themselves. Further, they have confidence in me and re­gard me as a friend, and would travel with me, and starve with me, should it be neces­sary. I feel that, with an experienced sur­geon and perhaps one other white man, and that material from which to recruit the rank and file of my party, it would come near be­ing an ideal party for Arctic work. Arctic exploration may be regarded as safe. This is shown by the experience of the last ten years. Nothing is to be gained by numbers; in fact, numbers are a distinct danger, and the frightful catastrophies of previous work are, in my opinion, directly traceable to that cause. The entire animus of the Arctic regions is against large par­ties. Where three men will get along in safety and comfort, six would merely exist on half-rations and twelve die of starvation. The two-man party is the ideal one; both Nansen and myself have proved this. The leader of the expedition must be at the head of the advance party; no successful Arctic party can be led from the rear. The lati­tude of Lockwood and Brainard's farthest north is eighty-three degrees, twenty-four minutes. The distance from this point, up to which we know there is land, to the Pole and return, is less than the distance from Whale Sound to Independence Bay and re­turn, which I have twice covered, once with a single companion, and again under the heaviest handicap. 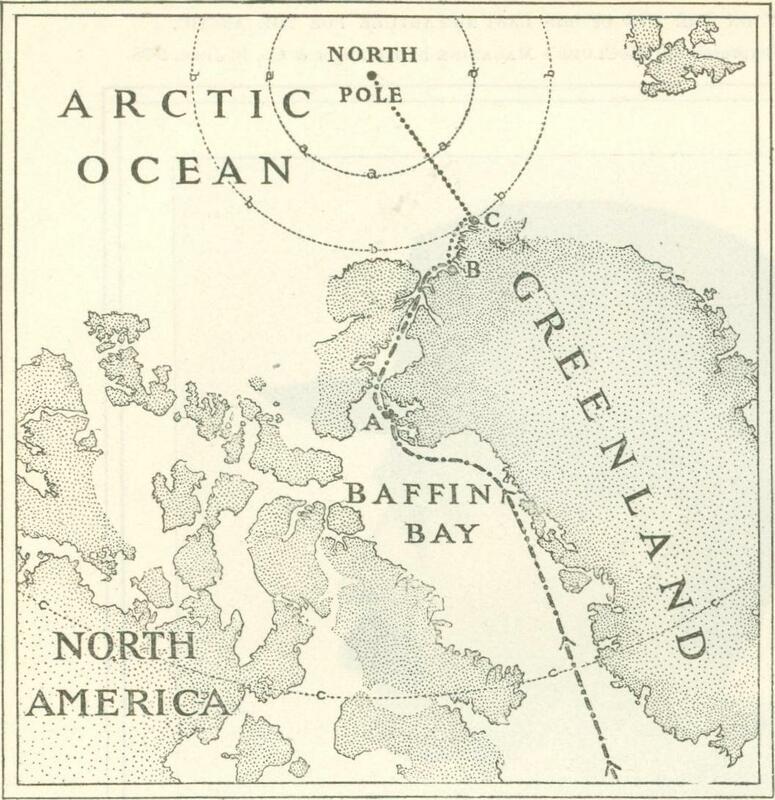 Resolved, that the Council of the American Geo­graphical Society heartily approves the project of polar exploration laid before it by Civil Engineer R. E. Peary, U. S. N., and will gladly contribute towards the expense of the same, provided such contribution is needed and will be acceptable, and that other subscrip­tions, sufficient to warrant the undertaking, are secured by Mr. Peary. The next step following this endorsement was to obtain the opportunity to undertake the work; in other words, secure the neces­sary leave to enable me to carry out my plans. It quickly developed that the securing of this leave would be a much more difficult work than had at first been anticipated, but at length strong memorials upon the geographical value of the proposed work by Judge Daly, President of the Ameri­can Geographical Society; and its scientific value, by President Morris K. Jesup, of the Ameri­can Museum of Natural His­tory, supported by numerous letters from men prominent in both scientific and business circles, and urged by all the enthusiasm and personal mag­netism of Mr. Charles A. Moore, a personal friend of President McKinley and the Secretary of the Navy, secured the desired result, a five years' leave of absence. The first step in the actual field work of the campaign was the preliminary voyage of the summer of 1897, preparatory to the starting of the main ex­pedition in 1898. The object of this voyage was to communicate with the little tribe of Smith Sound Eskimos, select from it the young couples who were to form the Eskimo con­tingent of my expedition, tell them what I ex­pected of them, give them instructions to be assembled with all their belongings at a cer­tain time in the summer of 1898, at a speci­fied place on the outer coast, in readiness to come on board my ship without delay. I also wished to instruct the hunters of the entire tribe in regard to gathering as much of a supply of meat for me as possible and having in readiness their best dogs! The secondary object of the voyage was to em­bark and bring home the great Saviksoch or Ahnighito meteorite. This latter has, how­ever, no bearing upon the subject in hand. 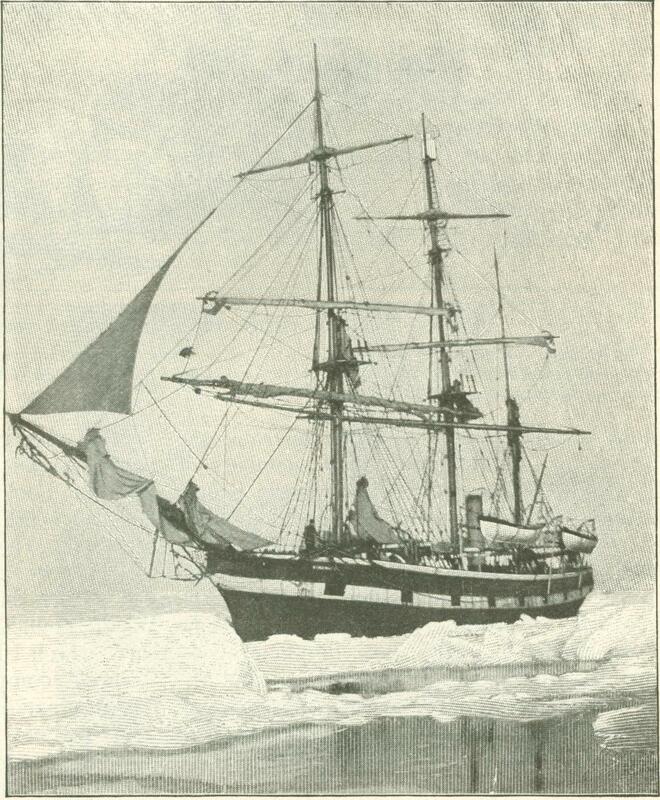 In pursuance of these objects, the steam­ship "Hope," which I had had the previous summer, was again chartered for an Arctic voyage, and sailed from Boston on the 19th of July. On board her was a party of sports­men and scientists who availed themselves of the opportunity for a summer outing at vari­ous points along the Arctic coasts. 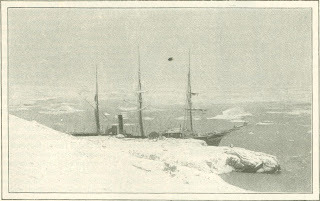 After stopping at Sydney, Cape Breton, to fill with coal, the "Hope" proceeded north­ward through the strait of Belle Isle, passed along the Labrador coast to the Wrighting­ton whaling station at Cape Haven, thence to Godhaven, Greenland, and eventually across Melville Bay to Cape York, the southern limit of the habitat of the little tribe of Smith Sound Eskimos. Here the first of them were encountered. After getting the great meteorite safely on board, the "Hope" steamed northward, touching at the various settlements along the coast, looking up the faith­ful, hardy, active, young hunters whom I had on my list, until at last all had their instruc­tions and the entire tribe knew my plans for the coming year, as far as they were con­cerned. In spite of the doubts of some of my friends, I found these children of the North, not merely willing, but anxious and eager to go with me. It was interesting to note the childish delight with which they listened, as I told them how they were each to have a "shake-her-up" (Winchester) rifle, and were to hunt musk oxen and bear, drive dogs, and eat biscuit and pemmican with me in the distant legendary Oomingmuk Nunami (Musk Ox Land) of their forefathers. Eagerly as they have looked forward each of the past few summers for the coming of "Peary's oomiaksoah" (ship), they will look for it with redoubled interest this season. They have all the longing for variety that is characteristic of human children the world over, and this year the arrival of the "oomiaksoah" means that a number of them will go to the white "Ahvungah" (North) to live in lands which they have heard of in legends repeated to them from childhood up. The young men selected by me are men every one of whom I know personally; men with whom I have sledged and hunted and boated till I know their capabilities and characteristics. One of them will do for an example - Sipsu, the handsome one (? ), grandson of the Chief Sipsu, of whom Hayes speaks. Sipsu I met for the first time one brilliant, but bitter cold, April day six years ago, in Inglefield Gulf, beside the Hurlbut glacier. He was only a boy, but active as a steel trap. Already he had a record of several deer killed with his rude bow. A little later he was the happiest Eskimo in the land, the possessor of a shining knife; not only the first he had ever owned, but the like of which had never been seen in the little village. The next year, he brought me as a trophy an eight-foot narwhal horn, the wearer of which he had himself har­pooned and killed. In 1895 he was among the most successful of the numerous walrus hunters at Peterahwick. Soon after, he married robust Nellika, daughter of old Koolootoonah. 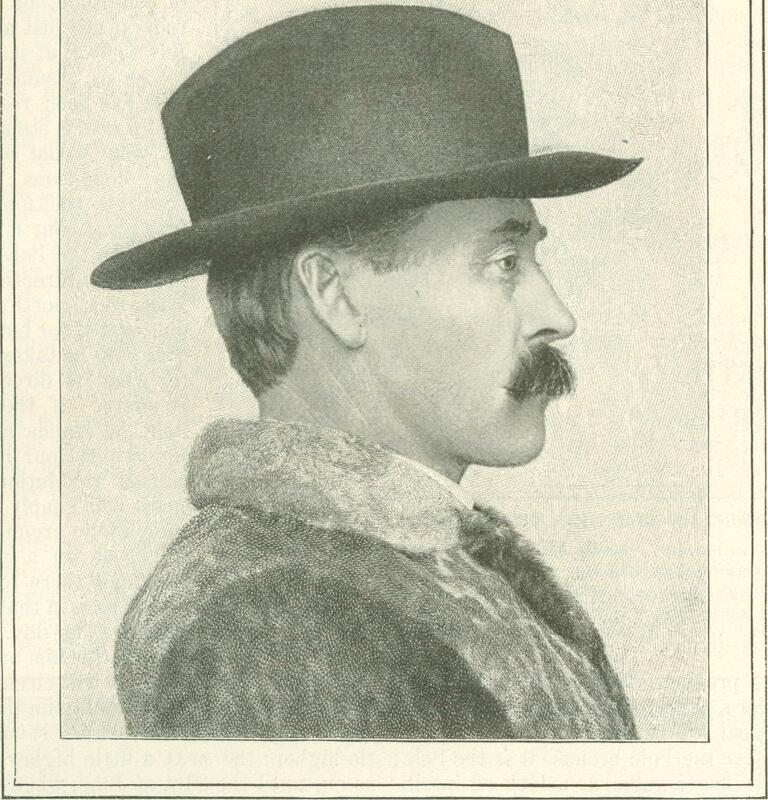 In August, 1896, I nearly lost him. He was the only one to respond to my call for volunteers to harpoon a white whale from the schools which were darting round the point of Fglooaihomny. Fearlessly he pad­dled out in his kyah to intercept them, but the lightning response of a powerful tail to the sting of his harpoon upset his kyah and pitched him into the water. The ship's boat and another kyaker started toward him. The kyaker reached him first, and, seizing him by the hair, kept his head on the surface till the boat arrived and dragged him in. Blue and exhausted, it took a long rubbing with Turkish towels beside the galley fire and a stiff dose of brandy to get him right again. Finally, clad in my warmest suit of clothes, he went ashore to his anxious young wife. So with all of them, I know them as we know comrades du guerre. As I sit here writing now it is entirely within the range of possibility that one of them, out upon the westward stretching ice off Peterahwick, is harpooning a walrus, the meat of which a year from now may be feeding my dogs at the ultima thule of the world. In December last, after returning from this preliminary voyage, I accepted a long standing invitation to address the Royal and Royal Scottish Geographical Societies of London and Edinburgh, respectively, upon my past work and future plans. The recep­tion accorded my report was very gratifying, resulting in the award of a special medal by the Royal Scottish Society and one of the two gold medals of the Royal Geographical Society. These endorsements, seconding as they did that of our own American Geographical Society, placed my project in the en­viable position of having the endorsement and approval of the three leading geograph­ical societies of the world. The most gratifying evidence, however, of the effect produced by my presentation of my plans was the deep and immediate interest shown in them by Mr. Alfred C. Harmsworth, England's munificent patron of Arctic ex­ploration, who pressed upon me his Arctic ship the " Windward," engaged for the last three years upon the work in Franz Josef Land, and urged my acceptance in such a frank and generous way that it was impos­sible to refuse. Finally, the funds for the work have been assured by an organization of gentlemen prominent in the highest business and social circles of New York. First on the membership role of this organization stand three men whose personal interest, influence, and example have made the organization pos­sible. They afford a striking illustration of the way in which Arctic exploration is to­day regarded by the most conservative and intelligent men of the times. These men are Morris K. Jesup, President of the Ameri­can Museum of Natural History; Henry W. Cannon, President of the Chase National Bank, and Charles A. Moore, President of the Montauk Club of Brooklyn. As a slight token of my appreciation of the assistance of this organization, and espe­cially of my deep regard for my friend Presi­dent Jesup, all the collections and scientific results of my work will be the property of the organization and will be by it turned over to the American Museum. Regarding my supplies and equipment there is little to say. Every additional year of experience in the past has shown me more things that could be dispensed with in Arctic work. In the coming expedition I shall try no experiments in either food or equipment. I feel that I know just what I want for a given purpose and how much for a given time. I shall dispense with many things hitherto considered necessaries of Arctic ex­ploration. For one thing, I shall include no lime juice in my rations: I have never used it; and I do not believe in it. I am satisfied that an intelligent white man can live indefinitely in the Arctic regions on a diet of tea, bread, and fresh meat alone, and keep in good health. Neither lime juice, fruit, nor vege­tables are essential. I shall take no house nor material for one. 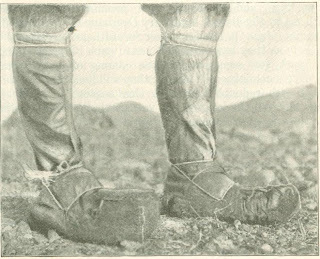 I shall, wherever practicable, merely supplement Eskimo methods and outfits with modern improve­ments. My ship will be used to land me at the farthest possible northern point. Once there, I shall utilize the simplest methods and materials for accomplishing my object: methods which evo­lution through generations of natives have shown to be best suited for work in that region. The object upon which every energy and every iota of experience is to be con­centrated is the smallest party with the light­est equipment and the fewest necessities - a party which can travel fast and far and continuously. The "Windward," however, will of course carry considerable stores. There will be a full equipment of scientific apparatus and mechanical implements; and for use on the voyage, and to supplement, after we land, the stores gathered by the Eskimos, there will be not less than 1,500 cases of pro­visions, weighing in the gross some fifty tons. In addition to large supplies of bread, tea, coffee, and cocoa, we shall carry pre­served fruits, various soup, meat, and vege­table preparations, about a ton of sugar, and several hundredweight of salt. There will be no liquors aboard, except as part of the medical stores. Most of the food will be of the compressed sort, hermetically sealed, for the most part, in tin, and each can containing, as a rule, a portion just equal to one man's need for one day. The cases will be carefully stored in water-tight, sheet-iron tanks in the ship's hold. The degree of nutrition in this compressed food is some­thing wonderful. One of the sixty-pound cases would probably maintain a man a month. Our bread - so hard that it can scarcely be eaten until it has been softened in tea, coffee, or something of the sort - has twice the nutrition of ordinary bread. It is perfectly true, as someone writing re­cently of this expedition said, that "at first the Arctic voyager may look dubiously at the array of little tins placed before him, some of them hardly larger than a penny box of matches, and for a few days his stomach may not feel quite full after eating, but be­fore long he learns to like his food." My project has been erroneously desig­nated by some to whom a catching expres­sion is more attractive than accuracy, "A dash to the Pole." I do not like the term. It is entirely misleading. My project con­templates a serious, determined, persistent attempt to win for the victorious Stars and Stripes the only remaining great geograph­ical prize which the world has to offer; an attempt which may, and quite likely will, be­come a siege - an attempt in which the knowledge and experience gained in work prosecuted during some ten years on definite and consistent lines are to be directed, on equally definite and consistent lines, towards the accomplishment of my object. "WASHINGTON, D. C., January 19, 1899. 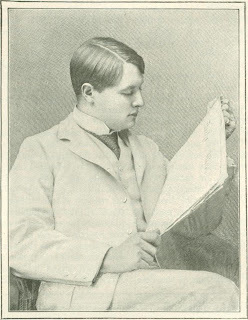 "To the Editor of MC CLURE'S MAGAZINE. "Dear Sir : Yours of the 13th duly re­ceived. There has been no news from my husband since the return of the S.S. 'Hope,' last August, when you received the rolls of films. The 'Windward' was looked for all the fall, but did not arrive. She has evi­dently been frozen in, and will not be able to return until the late summer or early fall of this year. 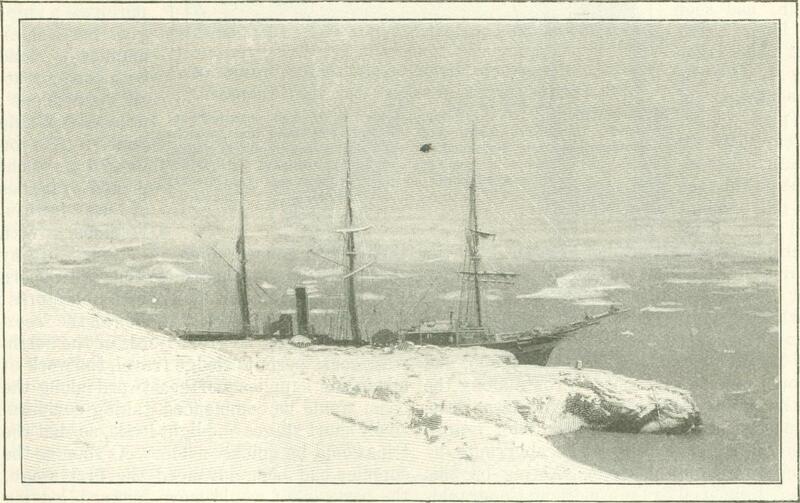 "The last known of the 'Windward' is that, when the 'Hope' left Littleton Island, on August 13, 1898, for St. Johns, New­foundland, the 'Windward,' with Mr. Peary and his party on board, bore away to the north. I am sorry that I have no further news to impart.